Rick Ricart, general sales manager of Ricart Automotive Group, likes consistency when it comes to certifying used vehicles. That's why the Columbus, Ohio, dealership group forgoes the certified used-vehicle programs offered by the six brands it sells -- Ford, Hyundai, Kia, Mazda, Mitsubishi and Nissan -- and uses Motor Trend Certified instead. Rick Ricart says that third-party certified used-vehicle program, coupled with an overhaul of the group's marketing strategy, has helped the group increase its used-vehicle sales 47 percent in the first six months of this year, to 3,372 units. "The Motor Trend program keeps it consistent for us," says Ricart, 33, whose grandfather started the family business in 1953 as a Ford dealer. "It keeps the inspection and reconditioning process consistent. No matter what vehicle is going into the shop, it's based on years and miles. The nameplate doesn't matter. If it's under 80,000 miles, it's certified with very few exceptions." The Ricart group has used Motor Trend Certified for three years. Automobile Protection Corp.'s Easy Care warranty program administers the program. Ricart says about 78 percent of the vehicles that the dealership group sells have fewer than 80,000 miles on their odometers, making them eligible for Motor Trend certification. Most of the vehicles the group sells are 2 to 6 years old and just less than 40 percent are still covered by manufacturer new-vehicle warranties, which run concurrent with Ricart's warranty, he says. It doesn't hurt that the third-party certification fee that Ricart pays is less than those typically charged by most manufacturers. Ford Motor Co., for instance, charges dealers $695 to certify a used Ford Super Duty pickup. Ford's coverage includes a 12-month/ 12,000-mile comprehensive limited warranty. It also includes a 7-year/100,000-mile powertrain limited warranty that starts from the time the vehicle was sold as new. That does not include reconditioning costs. Ricart pays less than $200 to certify each vehicle, which covers a 6-month/7,500-mile warranty. He says the inspection and reconditioning is easier and less costly because every vehicle is reconditioned to the same standard. He says his warranty is "close to bumper-to-bumper" and covers equipment such as powertrain, electrical components, air conditioning and "anything safety related." The warranty also gives vehicle buyers the option of exchanging their vehicles within 72 hours or 300 miles. Other amenities include paintless dent removal, key replacement and a concierge service that provides directions, phone numbers, addresses, traffic updates, movie times and other information. Motor Trend's certified warranty is shorter than those provided by various manufacturers but that's OK by Ricart. About 55 percent of his used-vehicle customers upgrade their coverage by purchasing a 2- to 5-year service contract administered by Easy Care. In those instances, the service contract kicks in and "our limited warranty cost goes away," he says. "The manufacturers don't make [certification] as cost effective." Ricart says that his dealership group's overhaul of its marketing strategy also has helped Ricart Automotive Group's used-vehicle sales. He now devotes 40 percent of his budget to digital, with most going to third-party sites such as AutoTrader.com and Cars.com. The other 60 percent is devoted to TV with some radio. 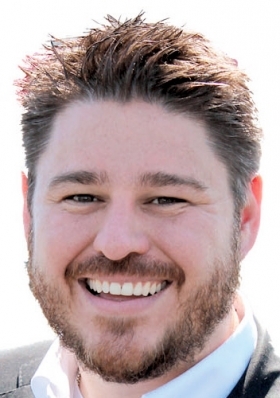 Ricart prices his used vehicles based on market data from vAuto Inc., a provider of used-vehicle inventory management software that helps dealers price used vehicles based on local market conditions. He says his pricing strategy is profitable and that overall per-vehicle gross profits on used vehicles have risen by "a couple of hundred dollars" over the past year. He says it would be difficult to strictly adhere to both vAuto's price strategy and manufacturers' certified programs. The certification fees and reconditioning costs associated with automakers' certified pre-owned programs would drive vehicle prices higher than what market data suggest consumers are willing to pay, Ricart says. "Manufacturers' whole reason for wanting dealers to sell CPO is so that dealers can ask for more money for those vehicles," he says. "The average consumer doing Internet research shopping doesn't have that value built in their head. They're just looking for a certain year, make and model car. So price is still the No. 1 factor." "For us to certify the car" under a manufacturer's program, he says, "and price to the market would shrink our profit margins." But the biggest reason he shuns factory certification is that the group has had little success with such programs. For instance, "We've attempted to be a Ford CPO dealer at least two times in the last 10 years," he says. Ricart says he tried parking certified used Ford units outside the Ford new-vehicle showroom, but "it didn't pick up any kind of traction over there." Nor, he says, did it work when he parked the certified used Fords with his used vehicles. "Now you're faced with a customer who has a specific budget in mind -- that's why they are in the used-car department," he says. Despite his success with Motor Trend Certified, Ricart says he has not closed the door on manufacturer certified programs. "I've challenged Ford: If they can figure out a system to make the Ford CPO program work for us, I'd be willing to try it again," Ricart says. "We've sold a lot of Fords for a lot of years. We like to make Ford happy."